Being that Kevin and I had anything but the traditional wedding process, we never actually got the traditional wedding gifts for our home. There are several items that you usually get for a wedding shower or wedding gift that we missed out on by having a destination wedding without any of the before and after parties. Serving ware and table displays are a few items I know we need especially with how frequently we entertain. Not that I've missed out, but I've always wanted a nice set of bowls or baskets to display fruits or even for things like cheese and crackers! There is just something elegant about hosting guests with a beautiful display in the kitchen/dining area. I was thrilled when FOW, a brand I had previously worked with in another area of the home contacted me in hopes of featuring some of their decorative bowls and trays. It seemed like the perfect time being in the new house and so we decided on the Question Mark Tray. Made of a beautiful aluminum buffed finish, this question mark shaped tray looks both classic and modern. While you can display just about anything from potpourri to fruits or crackers and cheese, we've been using it for fruits. The kids tend to munch on the items which are the easiest to grab and this makes for a beautiful display sitting on our granite counter top bar. Recommendation: I think this is a bit costly for something as simple as a decorative bowl. HOWEVER, if you saw it in person you would know that it is worth every penny as it is both quality made to last a lifetime and ans as stylish as any expensive piece of art you would buy for your home. The rest of their prices seem about average for anything in the furniture world. Plus if you are local to the NJ, NY, CT area you can receive white glove drop off service. 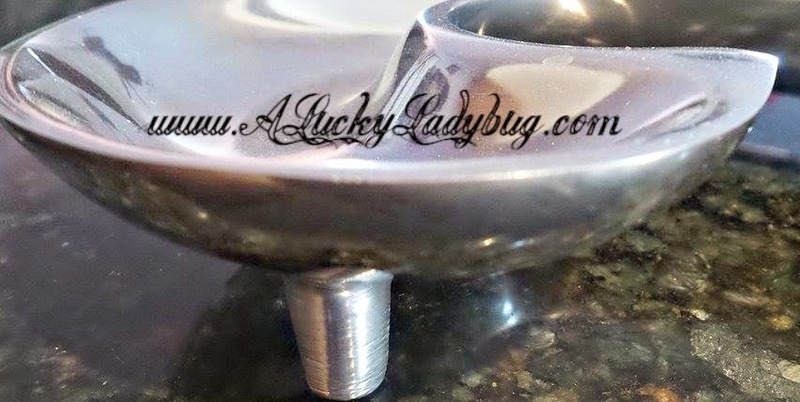 Giveaway: FOW Furniture is going to give one of A Lucky Ladybug's lucky readers a choice of decorative tray (not bowl) to have of their own! I kind of like the Canoe 3 Tone Tray. The long, boat-type trays are really pretty, too, but the canoe one looks like wood. It just appeals to me. It would be great for fruit. I love everything about the Swirl Bowl! It would compliment my living room decor & look beautiful on my glass coffee table with black wrought iron legs. i like the splash bowl and i would use it on my dining room table! Swirl pattern design wooden bowl is the piece I would choose because of the design. I would love the Cut Edge Tray. I might use it in the bedroom as a jewelry catchall on the dresser or on the buffet in the dining room as a decorative piece with oranges and/or limes. I would choose the long leaf tray to use when we have guest over for parties. I looooove the long leaf tray! That's what I would choose. It would look great in my kitchen. I'd use it to hold fruit! I would pick the Long Boat Bowl. I would pick the Reeded Bowl to hold my fruit. I just love the Question Mark Tray the most-- My husband is always saying "Whats This" its perfect!!!!! The canoe 3-tone tray is cool. We too are missing out on wedding presents because of destination wedding. I'd love the Long Oval Wavy Bowl! So pretty! 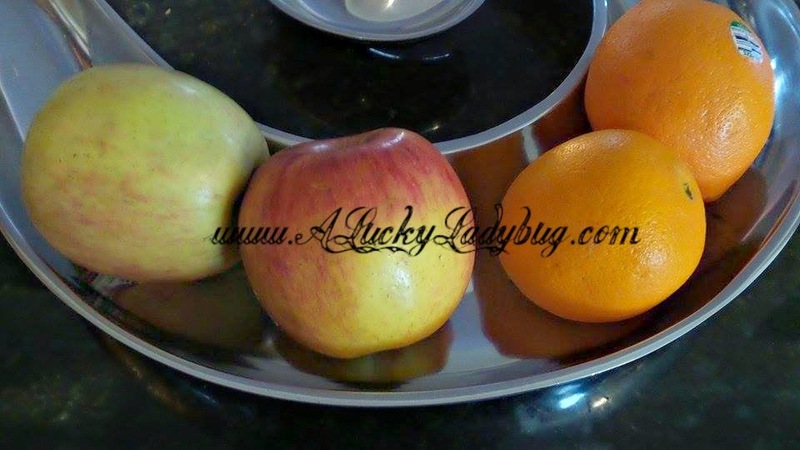 I love the leaf tray and would use it on my island to hold fresh fruit. The Dachshund Personal Tray would be such a cute house warming gift for a friend of mine. I would choose the canoe tray and use it to hold fruit (like bananas!). I love the Canoe Tray. I would use it for fruit. I always have fruit out because company is always stopping by and fruit is the perfect snack.